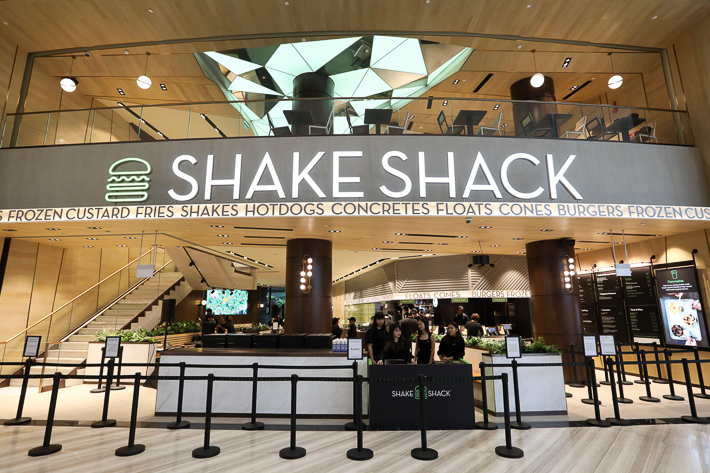 The spacious restaurant is beautifully decked out in Shake Shack’s signature urban concrete and wood decor that makes for an amazing backdrop to up your Instagram game. Adding on to the ambience is the magnificent view of Jewel’s breathtaking Forest Valley which features a lush assemble of plants that surround the much-anticipated 40m high Rain Vortex waterfall. 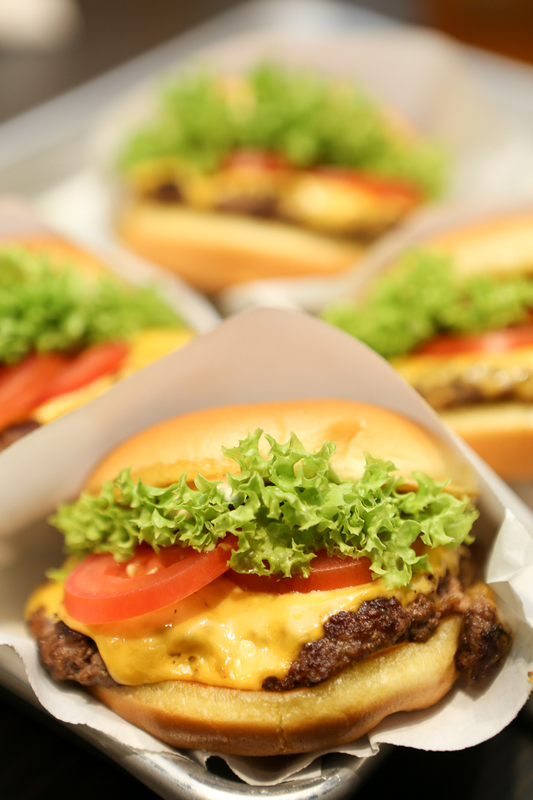 Being Shake Shack’s quintessential menu item, the ShackBurger (S$9.20 Single, S$12.70 Double) is the perfect representation of the classic American burger. Wedged between the buttered and griddled potato buns are a slice of American cheese, crisp lettuce, tomatoes and an insanely juicy beef patty that uses Shake Shack’s special The Shackblend. To complete the burger, all the varying elements are coated in a generous smothering of Shake Shack’s signature ShackSauce that is bitter, salty, smokey and spicy all at once. If you aren’t a fan of burgers but you still want to get in on all the action and hype, you can have a go at their Shack-cago Dog (S$6.50) instead. 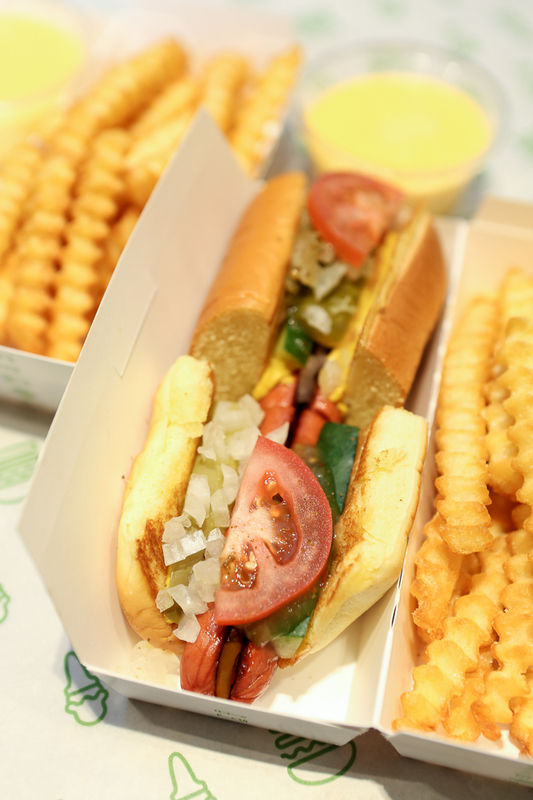 Dubbed as one of the best hot dogs in New York, this hot dog lives up to the title and provides diners with the ultimate hot dog experience. Each hotdog here comes loaded with onions, cucumbers, pickles, tomatoes, peppers, mustard, celery salt, Rick’s Picks Shack Relish and of course, a thick, juicy hotdog. 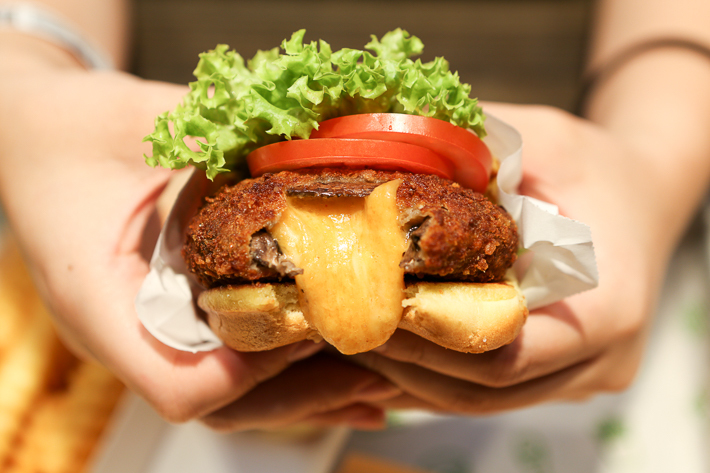 For the vegetarians out there, fret not as Shake Shack has created their very special ‘Shroom Burger (S$10.80) just for you! Replacing the beef patty here is a crisp-fried portobello mushroom that is injected with an addictive concoction mix of Muenster and cheddar cheese. This glorious patty is then topped with lettuce and tomatoes and then further drenched in a generous amount of ShackSauce. 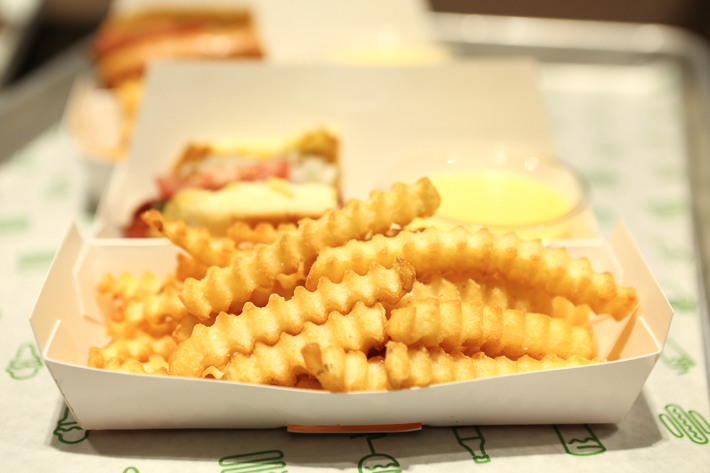 Nothing goes better with a burger than a side of fries and Shake Shack does up some of the best ones around. Their Crinkle-Cut Fries (S$4.50) are thick and have satisfyingly crisp ridges that give the fries a lovely bite to it. If you want to up your fries game, you can also have a go at their Cheese Fries (S$5.90) which features fries that are doused in a heavenly medley of melted cheddar and American cheese. 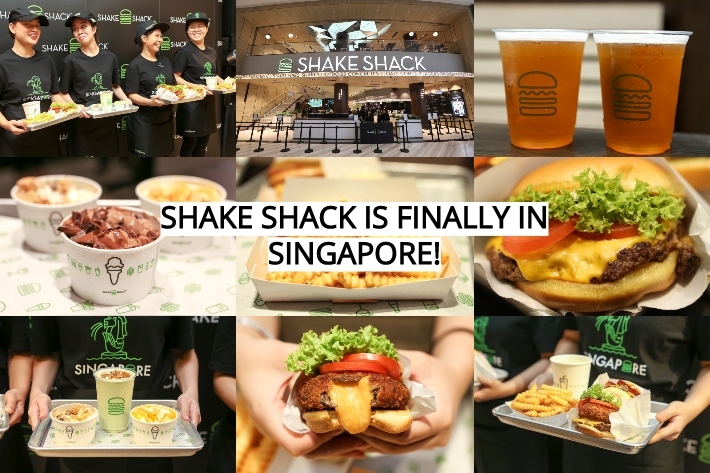 Aside from the classic Shake Shack offerings, you can also look out for items on their Singapore-exclusive menu. 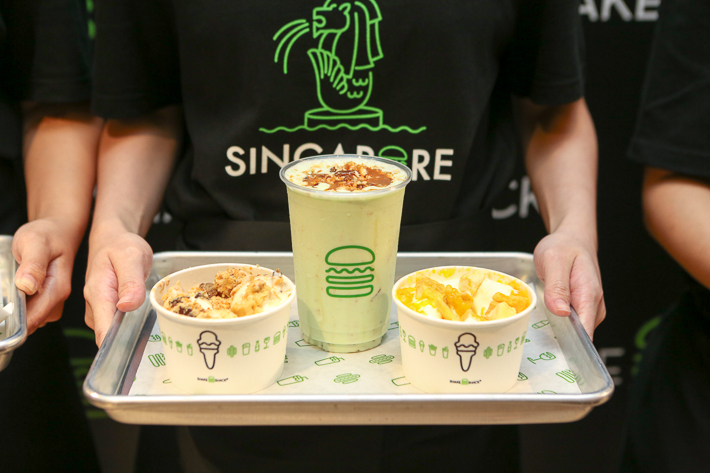 Pandan lovers can get ready to indulge in their Pandan Shake (S$7.80) which features frozen vanilla custard that is blended with pandan and coconut and then topped with a generous serving of gula Melaka crumble. The drink is said to be inspired by popular local foods such as pandan chiffon cake, ondeh ondeh and kaya toast. You can also tuck into the Jewel Melaka, which consists of Vanilla custard mixed with coconut salted caramel, chocolate chunks from local brand Lemuel, shortbread and gula Melaka. Similar to that, there is also It Takes Two To Mango, a dessert that was inspired by the very popular mango sago pudding. 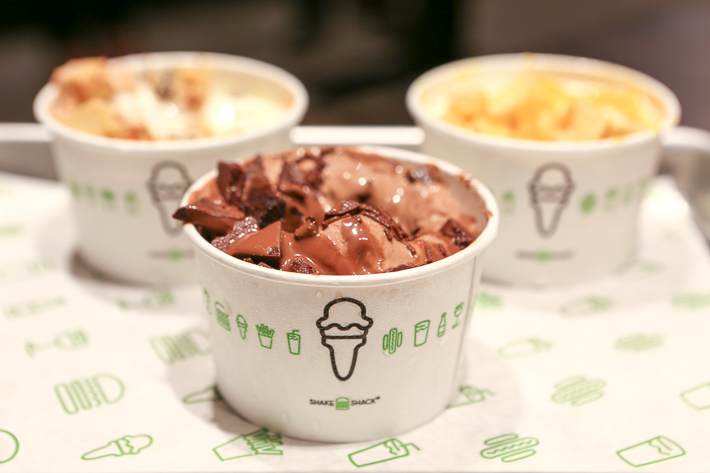 For those of you who prefer something more chocolatey, you can also try the Shack Attack which features Chocolate custard mixed with brownies from local brand Plain Vanilla, Shack Fudge Sauce, Lemuel chocolate chunks and chocolate sprinkles. Read our Jewel Changi Airport guide to discover the best places to visit.